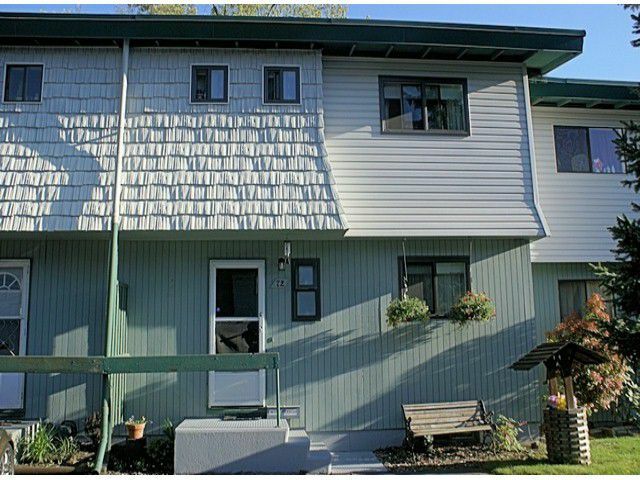 Nicely renovated 3 bedroom, 3 bathroom, 3 level town home. Newer furnace, hot water tank and roof. Energy saving vinyl windows, extensive ceramic tile work in bathrooms, fully fenced yard and 2 parking spots outside the front door!Woodbridge is a very safe hard to find, family & pet friendly complex in Birdland. Close to transit, the N. Surrey rec Center, Guildford Mall. Amenities include an indoor salt water pool, saunas, playground, covered play area & clubhouse. Well maintained strata with a good sized contingency fund. Come and see it you won't be disappointed.